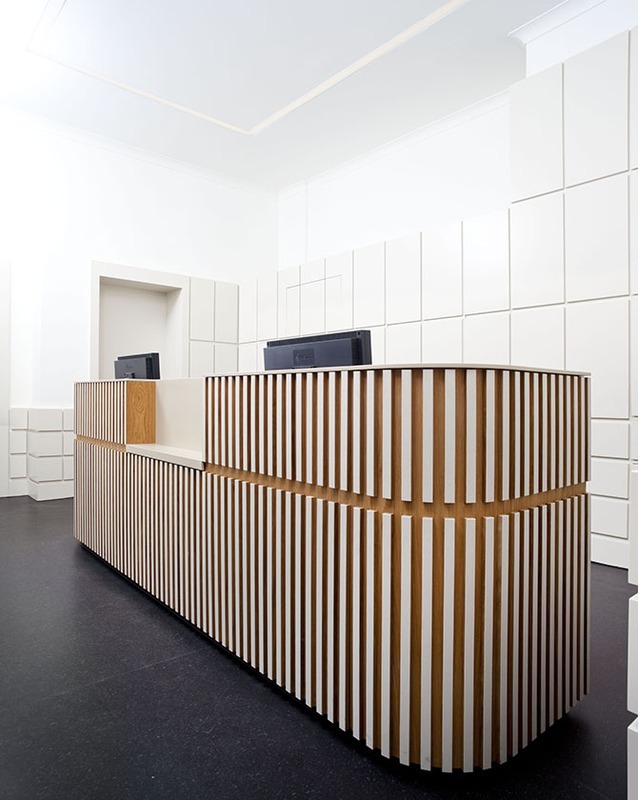 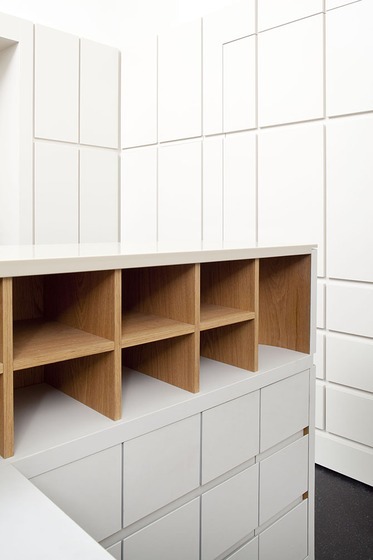 Renovation, reconstruction, and interiors for a medical practice in Berlin-Wilmersdorf. 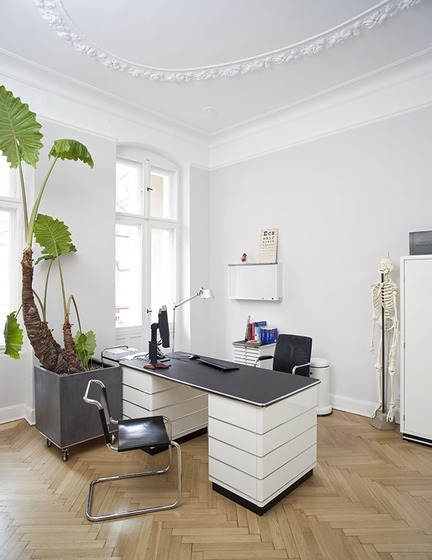 Located in a historical building in the heart of Berlin-Wilmersdorf, this medical office was carefully renovated to preserve the unique character of its prestigious bel étage space. 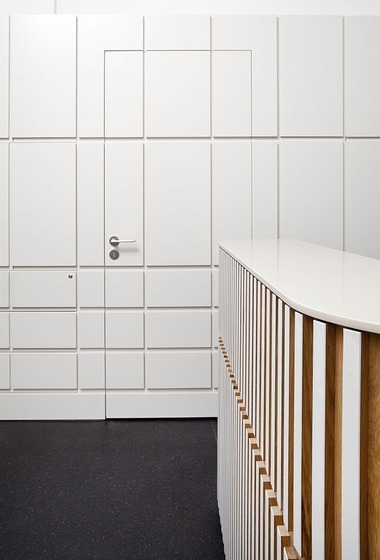 The foyer serves as the meeting place for patients, doctors and nurses; every other room faces this main hub to help foster an open and communicative working environment. 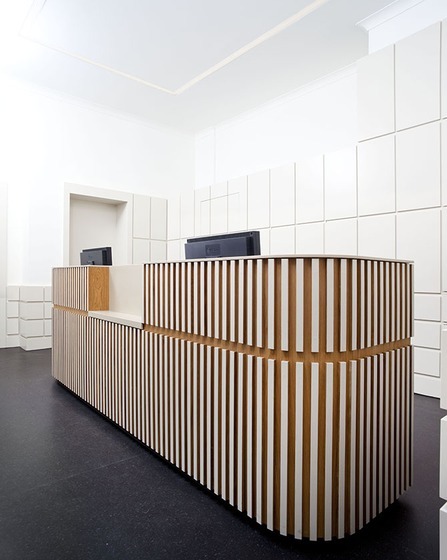 Bright wall paneling references the classical Schlossbau aesthetic in a modern way, helping achieve a welcoming effect. 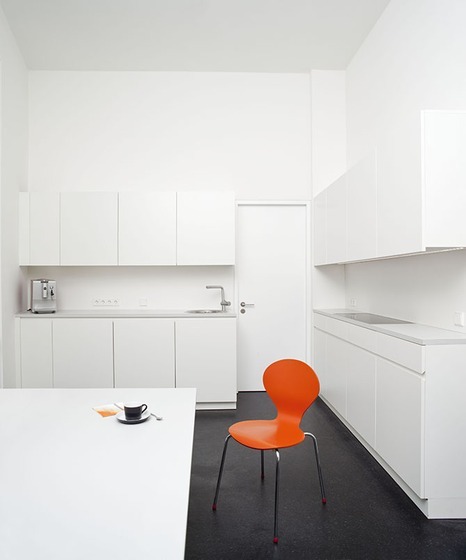 To further emphasize the historical aspects, the surgery and waiting rooms are painted with rich hues.